1.8 Is coconut oil Good for Chapped Lips? Hey, winter comes….This cold winter may cause dry and chapped lips. Therefore find the best solutions to get rid of flaky and painful lips. Here are the 10 Home Remedies for Chapped Lips that can help to relieve pain and also keeps your lips soft and colorful. Not only winter, but we can get dry lips in summer also. Many of us have the same question, Why are my lips so chapped? The main reason behind chapped lips is a loss of moisture. Hence, the best solution for chapped peeling lips is rehydrating them. The colorful lips look more attractive. But how we feel if these lips turn to flakes and peels. It is the most embarrassing situation. Do you know what causes chapped lips? Some climatic changes, lack of moisture, smoking, sun exposure will cause chapped peel lips. The main symptoms associated for severely chapped lips are cracks, flakes, peels, bleeding, dryness, swelling, scales. 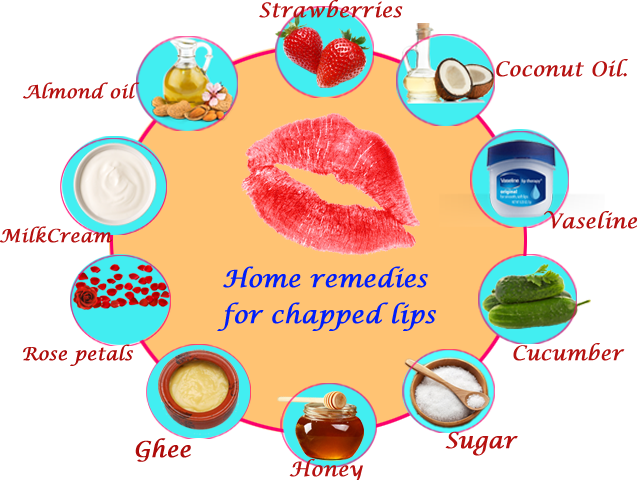 So to get rid of that problem, follow the below home remedies for chapped lips. The first home remedy for chapped lips is sugar. Due to its grainy texture, sugar acts as the best exfoliating agent for dry lips. When you apply this scrub, it removes all the dead skin cells from the chapped lips. To prepare a homemade lip scrub, it’s better to use brown sugar rather than white granulated sugar. Because brown sugar is softer than granulated sugar. If your lips are extremely severe and painful, use superfine sugar which has small tiny grain texture. How to fix chapped lips by using sugar scrub? Take brown sugar, lemon juice, and olive oil in equal proportions. Mix those three ingredients very well and use this mixture as the scrubber. Apply this mixture on your dry lips. Allow it to settle on the lips for a few minutes. Then, wipe the dry cells by using a tissue or with lukewarm water. After, apply the natural lip balm to regain moisture on the lips. What is good for chapped lips cure? The DIY home ingredient which acts as the best lip balm for dry lips is Milk Cream. It contains high-fat content that helps to moisturize dry lips. How to use Milk Cream for dry lips treatment? First take some fresh milk cream and apply that cream on your cracked lips. Left it to settle on the lips for at least 5 minutes. Then, Dip a cotton swab in lukewarm water and gently wash your lips with this swab. Repeat this chapped lips remedy for 2 to 3 times daily until you get relief from painful lip cracks. How to heal chapped lips? Most of the Indians use Ghee or Clarified butter in some recipes for extra taste. In addition to this, ghee also used for the beauty purpose. One such purpose is it moisturizes the skin and prevents from cracks and dryness. 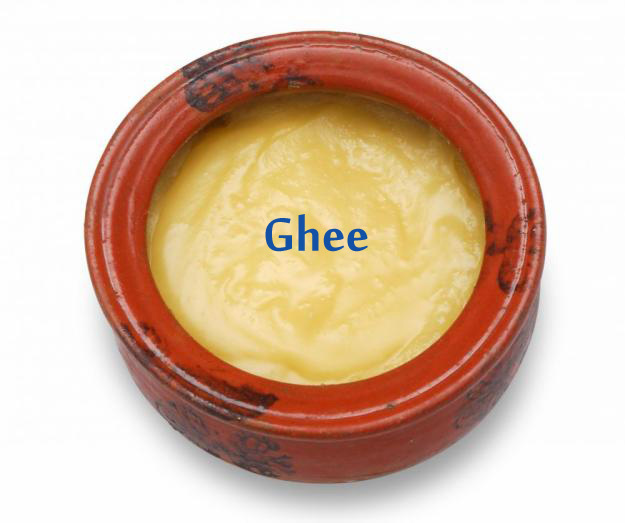 Besides, ghee helps to give soft texture for your lips. Apply the warm ghee on your dry and cracked lips daily before you go to bed. Do you know How long does it take for chapped lips to heal with ghee? You can cure very chapped lips within one or two days by using clarified butter. The most colorful strawberries are also one of the home remedies for chapped lips. Applying strawberry paste not only heal dry lips but also makes your lips pink and attractive. The minerals and vitamins present in strawberries aids to keep your lips healthy. How to get rid of chapped lips overnight? Take a ripe strawberry and cut it into the middle. Take that half part and smash it. Use the resultant as a scrubber on the chapped lips for a few minutes. Allow the strawberry mixture to absorb on the lips. Then, rinse your lips with lukewarm water. Repeat this dry chapped lips home remedy for 2 to 3 times in a week. Alternatively, mix a half tablespoon of strawberry pulp with a small amount of honey. Apply this paste on your cracked lips and rub gently for 5 to 10 minutes. After, rinse the paste with the help of lukewarm water. Do this chronic chapped lips treatment for once or twice in a week. In winter, most of us will suffer from dry and chapped lips. Hence, to avoid this problem, honey mixed with sugar is one of the best natural remedies for chapped lips. Honey has antibacterial and healing properties. So, it eliminates all the dead skin cells from the lips and the soothing nature of honey provides softness. Also, the moisturizing nature of honey helps to restore lost water content and prevent so chapped lips. How to cure chapped lips fast using honey? First, mix 1 tbsp of honey with an equal amount of sugar. Apply this homemade lip scrub on your flaky lips and rub with your fingertips for 2 minutes. Leave the mixture on the lips for at least 5 minutes. After that clean your lips with water and spread coconut oil to provide softness. Repeat this home remedy for once a week. Alternatively, you can also apply raw honey directly on your lips before you go to bed. Leave the honey overnight. You can feel relief from the painful flaky and dry lips in the morning itself. The simple and easy home remedy for dry chapped lips is a cucumber. This water-rich vegetable not only draws your body heat but also treats your extreme chapped lips. Also, it acts as the best chapstick for chapped lips. All of us know that this veggie has skin lightening properties and hence remove tan. So, when you rub cucumber slice on your lips, it takes away all the dead skin cells and avoids lip dryness. How to use a cucumber on your very dry chapped lips? First, take a fresh cucumber and cut a slice from it. Use this slice for rubbing on your lips. After rubbing, wash your lips with water. Do this natural solution for several times a day to heal dry lips fastly. The one flower that attracts our eyes is a rose. This natural blossom is also an effective remedy for bad chapped lips treatment. Along with dry lips cure, it also helps to enhance your lips color. 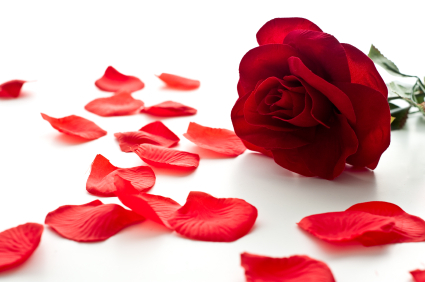 Hence, use rose petals for painful lips relief and for getting attractive pink colored lips. How to avoid very chapped lips fastly with rose petals? First, soak a few rose petals in a milk or else glycerine for some time. Then, crush these petals in the form of a paste. Apply this paste on your painful lip cracks and scrub gently with your fingertips. Left the paste on your lips for at least 5 minutes and then rinse it off with lukewarm water. Use this best lip balm for chapped lips for 2 to 3 times in a week. Is coconut oil Good for Chapped Lips? What to do for chapped lips? It will surprise that coconut oil is the best lip moisturizer that can help to cure very chapped lips. Since chronic chapped lips are caused due to loss of moisture, when you apply coconut oil, it keeps your lips moist and free from cracks. Therefore apply coconut oil for chapped lips daily for quick results. Along with coconut oil, you can also use olive oil because both oils contain essential fatty acids. The almond oil acts as the best lubricant to soothe and moisturize dry lips. Moreover, this oil eliminates darkness of the lips and enhance lips color. The B2 vitamin present in almond oil is meant for treating chapped lips. Along with this, it also contains vitamin E protects your lips from sun effects and avoid aging. So, apply almond oil on your bad chapped peeling lips frequently. The secret behind dry and chapped lips cure is finding a way to provide moisture. Vaseline is the best solution for flaky lips and also considered as one of the best home remedies for chapped lips. The jelly nature of vaseline sticks to lips and acts as the protective layer for them. Moreover, it penetrates to the deeper layers of skin and rehydrates them. Then, the outer layers will start to become smooth and soft. Hence, apply vaseline for chapped lips treatment. All these are the best home remedies for chapped lips. Instead of using artificial lip balms, use these homemade chapsticks to avoid lips dryness permanently. Since all these are available in our home, you have no need to spend extra pounds for getting rid of chronic chapped lips.